After being eliminated from EPICENTER St. Petersburg 2017 the CS:GO rosters of North and FaZe Clan have left the event early at their own discretion. As a result, the previously scheduled signing sessions and other activities involving the two teams’ players have had to be canceled. 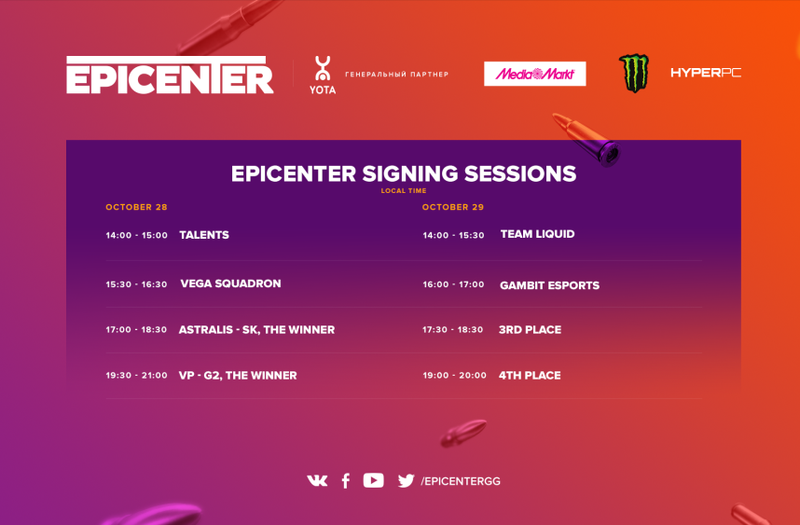 We apologize to North and Faze Clan’s fans and hereby inform that teams leaving the tournament ahead of schedule will be penalized by EPICENTER organizers.